Are clipped to the telegraph wire. I sing along home again. Except to make sure I've shined them. Until I go out and find them. The other day I went looking for autumn. Not, like poet Kaye Starbird, in search of horse chestnuts, but on a quest instead for autumn leaves. There was frost in the canyons overnight all week, and it brought the most fleeting and transitory beauties of the year to the Santa Monica Mountains. This gold can be neither bought nor sold, and like the fairy gold in stories, it turns from treasure to withered brown leaves overnight. To find autumn gold you have to look deep in the canyons for the riparian woodland that is home to deciduous willows, sycamores and cottonwoods. This golden wood is located above the old Rindge Dam in Malibu Canyon. The area is closed to hikers, but the three tiny pullouts along Malibu Canyon Road offer a dramatic overview. 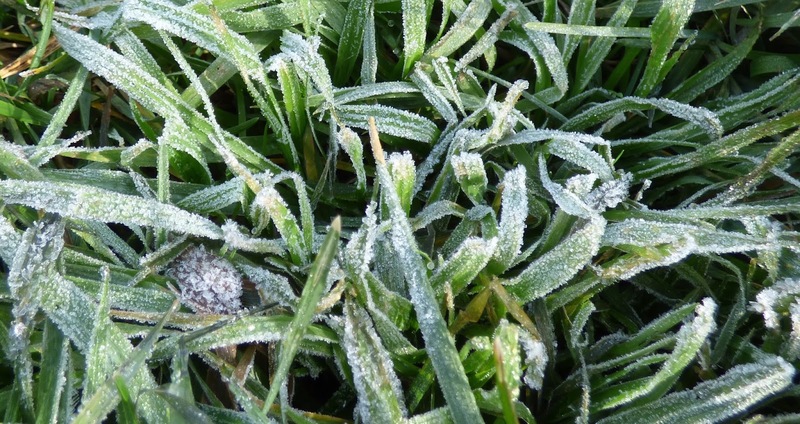 The frost was still on the grass at 9 a.m. on Saturday at King Gillette Ranch. Malibu Creek is the only stream in the Santa Monica Mountains that cuts through the entire range. It carries more than water through the canyon. 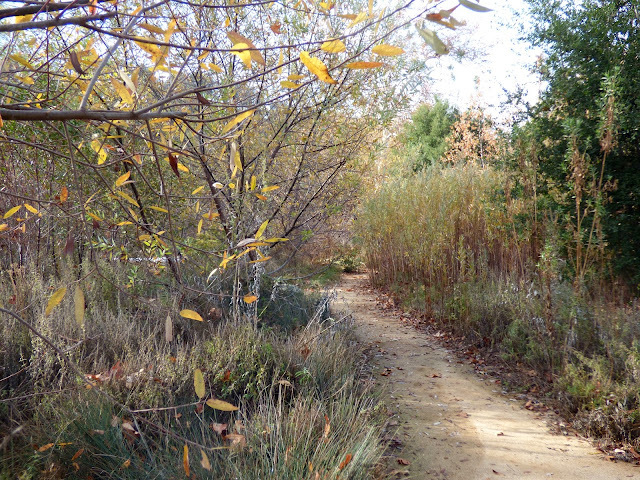 In autumn and winter cold air drains as well, and it's not unusual for the temperatures to dip into the teens in and around Malibu Creek State Park. 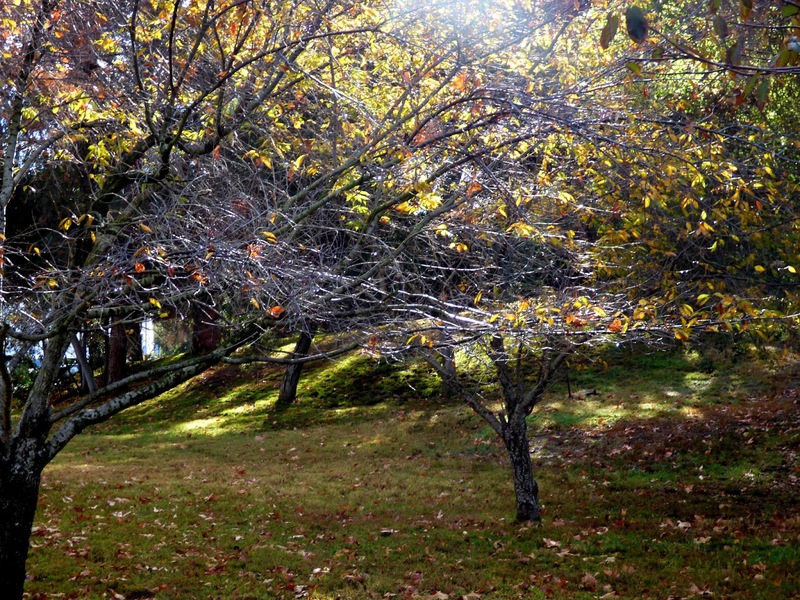 The old King Gillette Ranch estate was once the mountain retreat of razor baron King Gillette, and later a Cistercian monastery and a Japanese University. 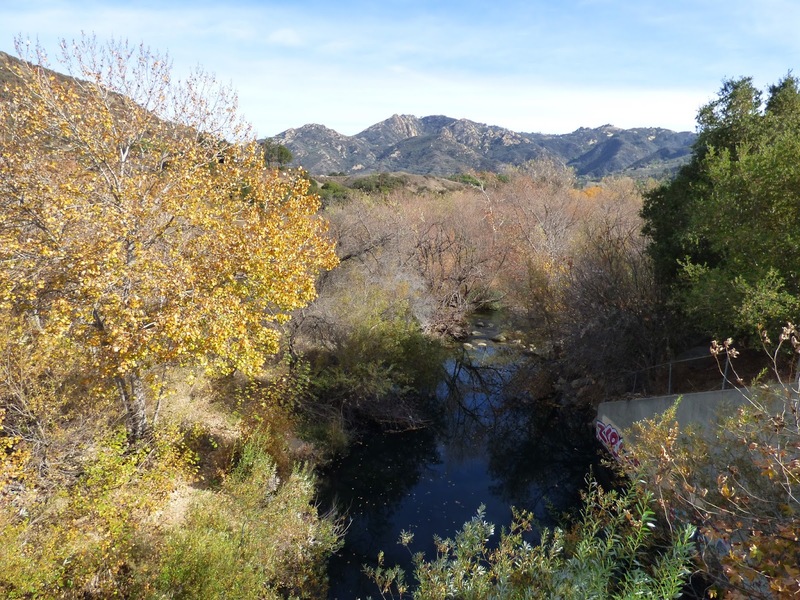 Today, it's owned by the Santa Monica Mountains Conservancy and is home to the Santa Monica Mountains National Recreation Area Visitor Center. 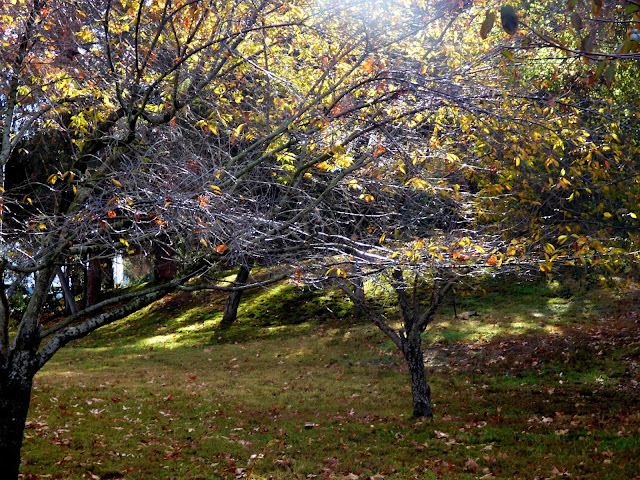 The old gardens, half overgrown and on their way to being wild again, are a perfect place to look for signs of autumn. 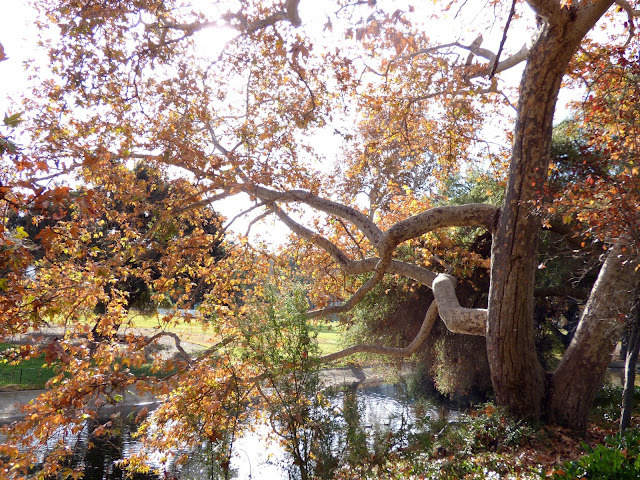 A massive sycamore carries an entire symphony of autumn colors on its twisted boughs. 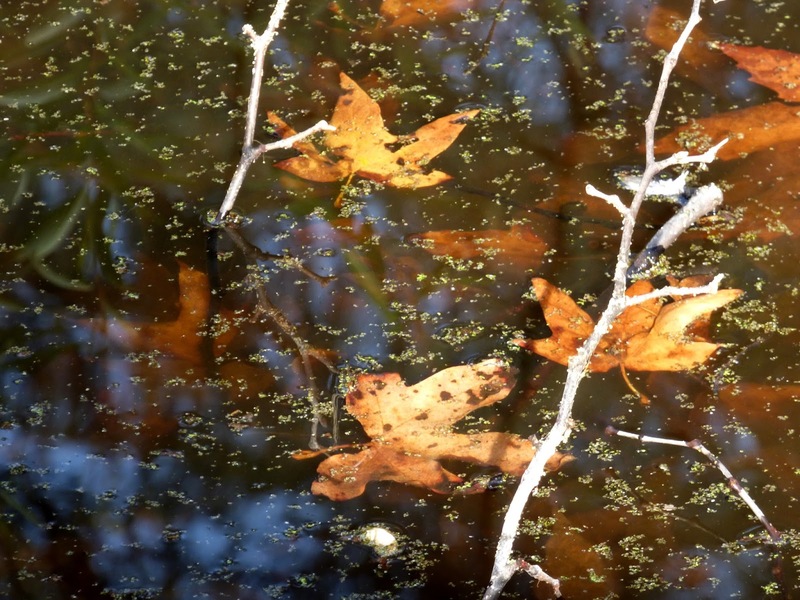 Bright leaves transform the still pond water into a golden mosaic. 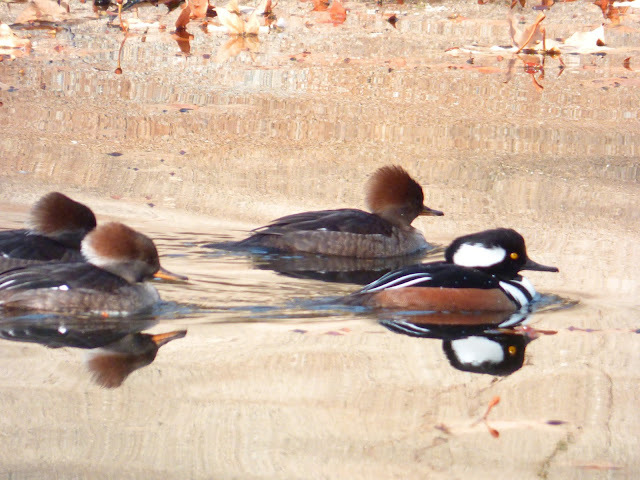 Hooded mergansers—the females are brown, the male spectacular in black and white and red (just like that joke about a newspaper) plumage, glide on gilded water. 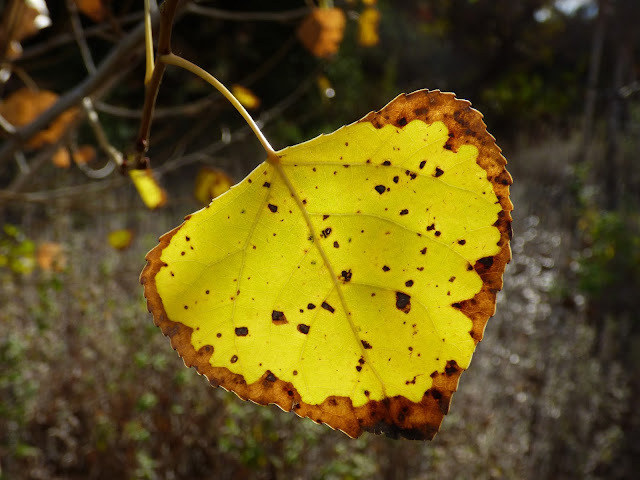 Sycamores, walnut trees and willows in the visitor center native plant garden offer an appealing fall palette of ochres, browns and golds, but the cottonwood is the tree that really stands out in autumn. 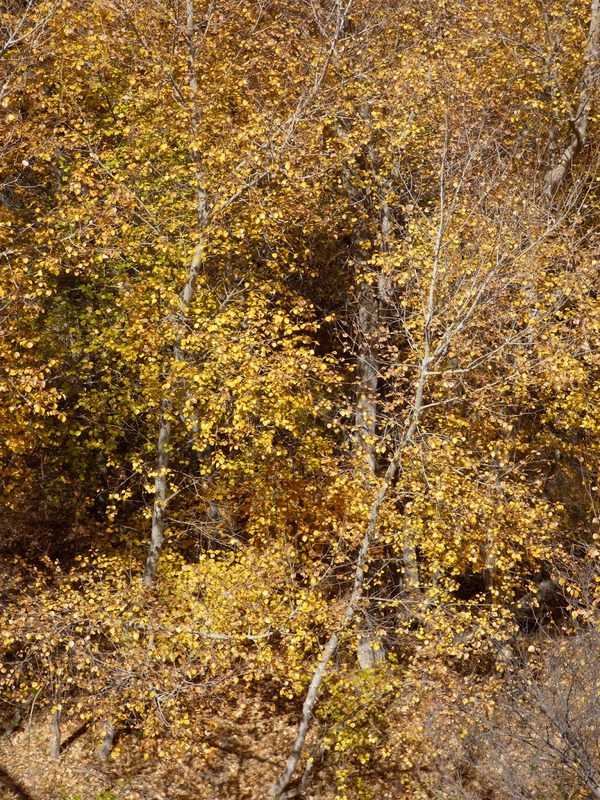 Cottonwood trees, found only where they can have their feet in water, are transformed from dusty green to pure gold for a few brief weeks in late autumn. 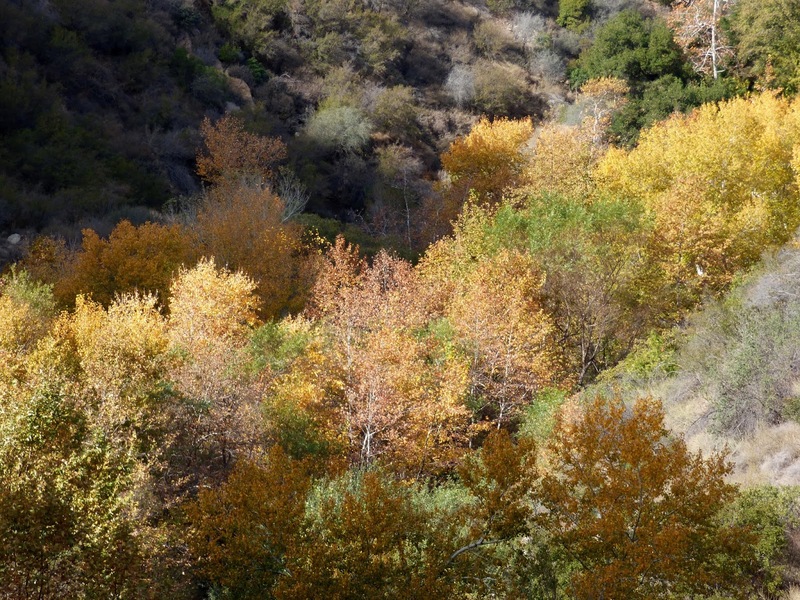 This is the view from the Tapia Creek Bridge in Malibu Canyon. 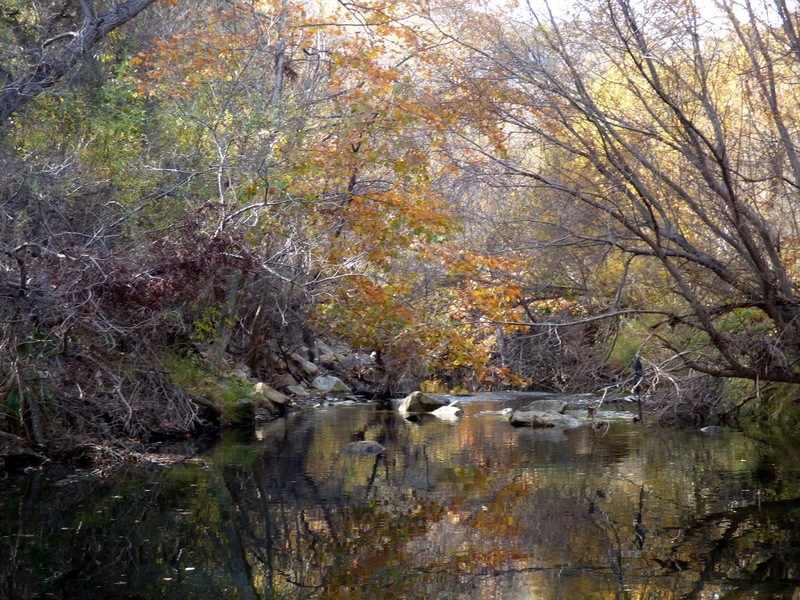 Directly beneath the endless stream of cars, is a magic mirror of still water that reflects living gold. Only the scrawl of graffiti reminds the viewer that this view is right next to Los Angeles, one of the largest urban areas in the country, and not some remote corner of California backcountry. 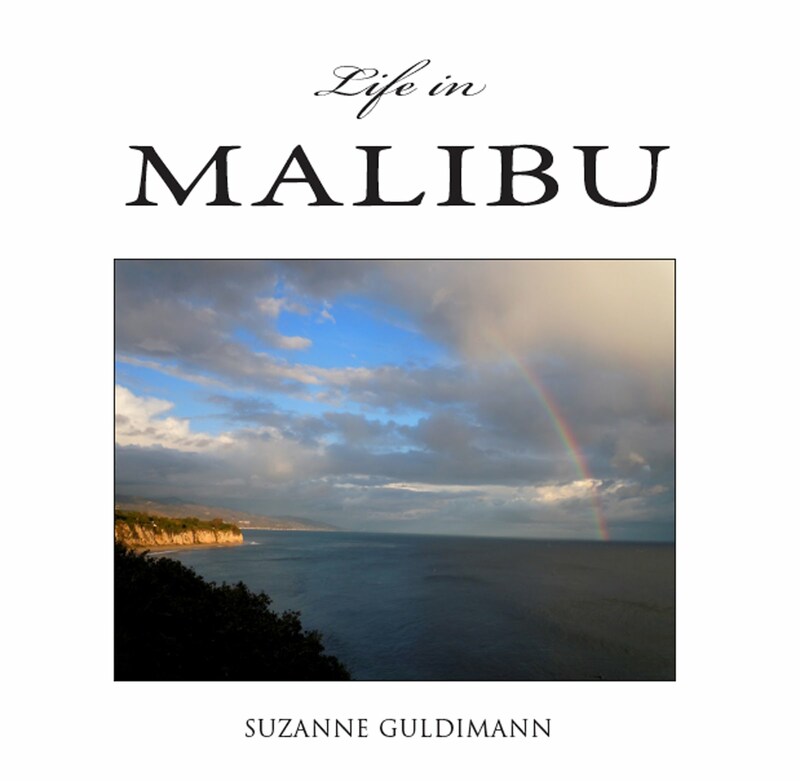 Malibu's autumn gold is a fleeting joy, soon transformed by nature's alchemy back into earth. 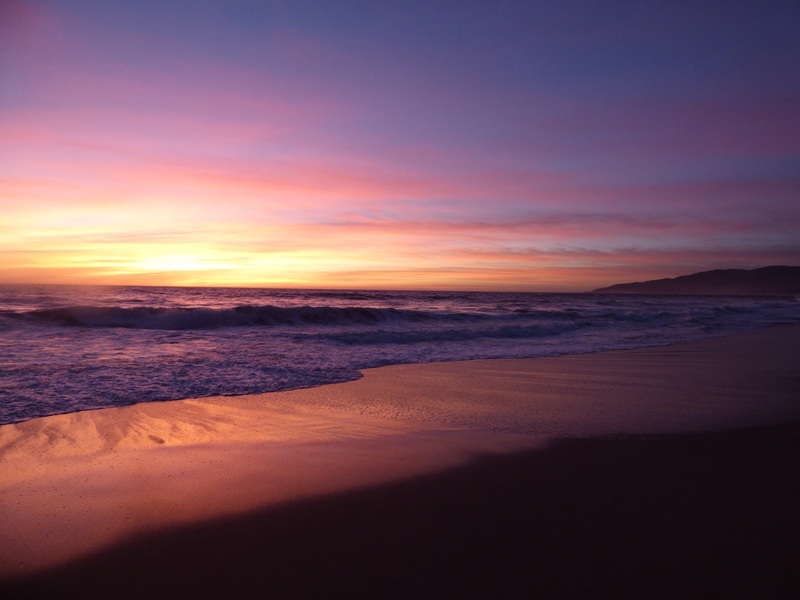 It's a reminder to take time to breathe during this frantically busy season, and to stop and look at the beauty around us. There's another kind of December gold, even more fugitive than that of the leaves. It's the gold of the sun, setting at midwinter over the ocean and transforming the sea and sand into the colors of the rarest and most vivid jewels in nature. December offers some of the best sunsets of the year in Malibu, followed by dark clear skies ideal for star gazing—the Geminid meteor shower peaks December 12 this year. 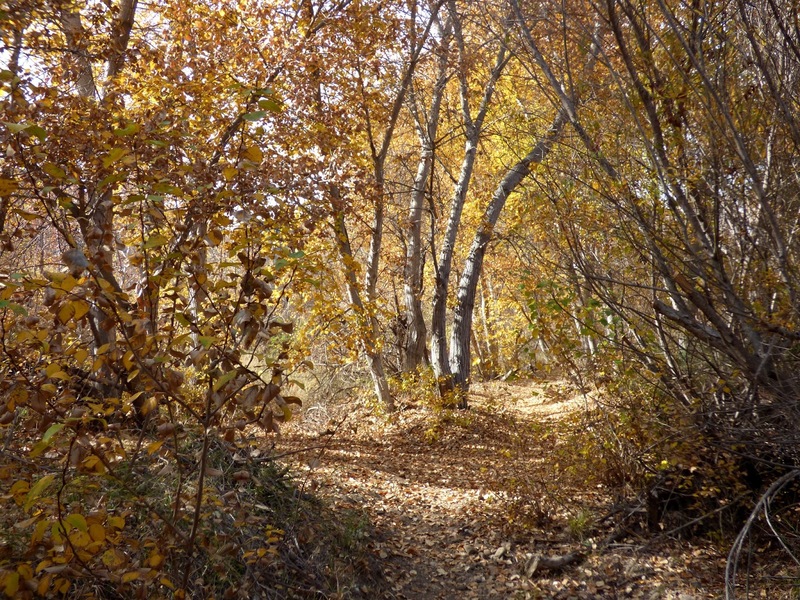 And, if you know where to look for it, there's even a taste of autumn color, without the short northern days and piercing cold that makes the turning of the leaves a bittersweet joy in other parts of the county. 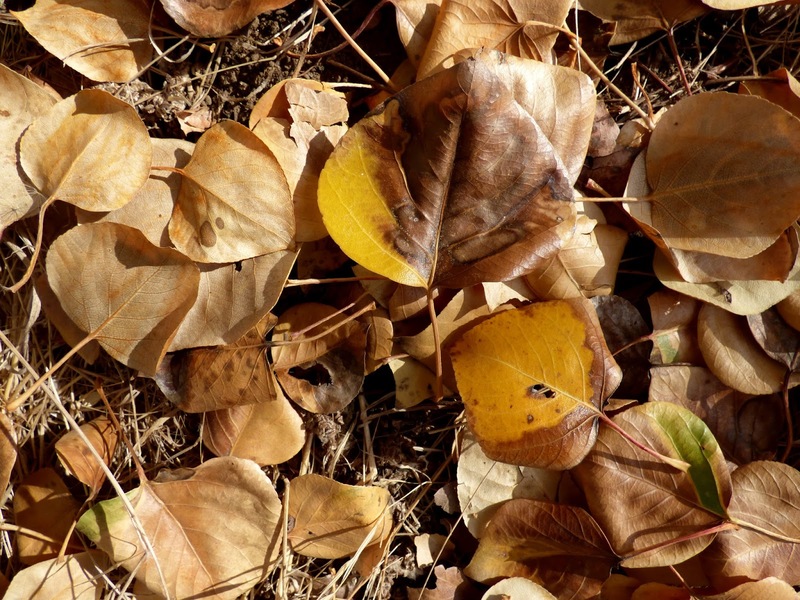 These are treasures that cost only one thing: the time it takes to go and look for them. 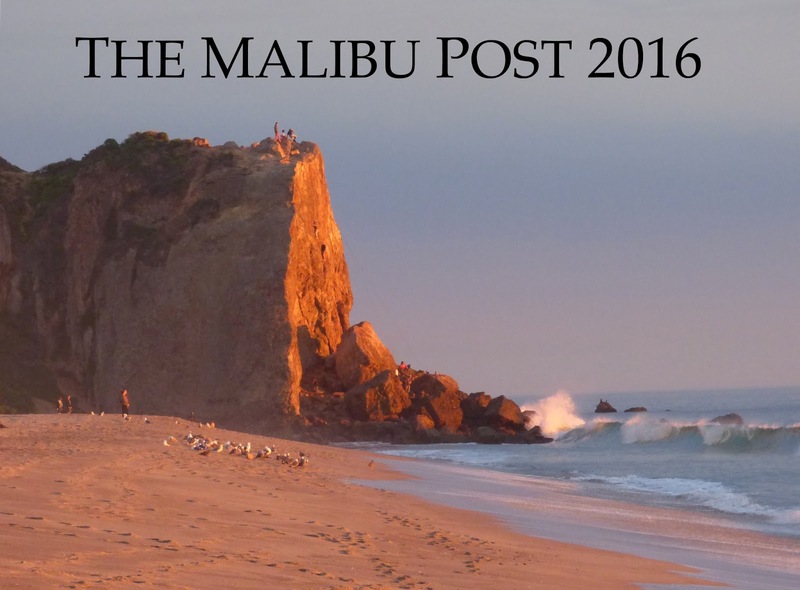 A limited number of 2016 Malibu Post calendars are currently available for $15.95 plus sales tax.The calendars are 8.5 x 11 and feature 12 of our favorite Malibu Post photos from 2015 printed on heavy photo stock and spiral bound. Being hopeless luddites, we haven't figured out the whole e-commerce process, but we will gladly accept cash or checks. Shipping is $6. Orders in the 90265 area code can be dropped off. Orders can be placed using the contact form in the right column.